Recently, I have noticed that I am losing more hairs on a daily basis when I comb my hair. Lucky that I have quite thick hair. In fact, I have had my hair thinned at times because it was difficult to control. Now it seems to be thinning on its own. So, here I am becoming obsessed with hair loss. I read that you can lose up to 100 hairs per day, and it is considered normal. Alopecia, or better known as hair loss, is difficult for those that experience it. Men, women and children can be affected by this problem. 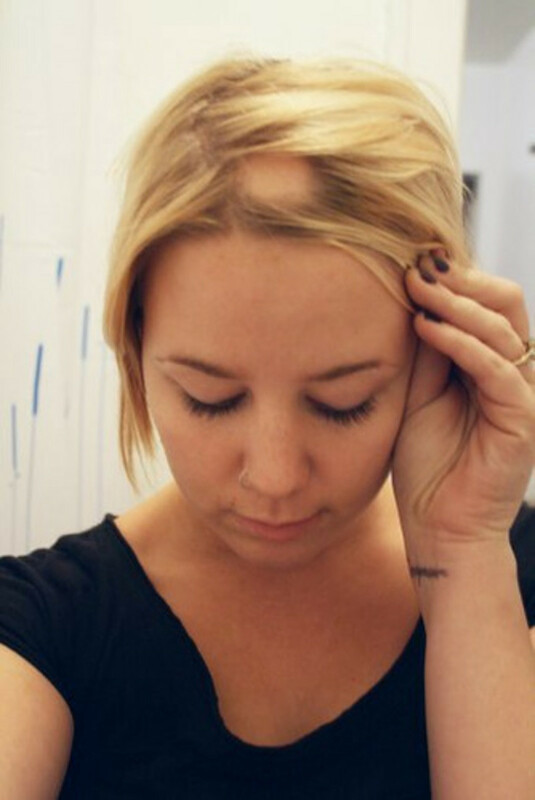 Hair loss can happen in patches or over the whole scalp, and even the entire body. It can happen to any one. Often hair loss is hereditary, especially in men. Other reasons it may occur include taking certain medications, or as a result from particular medical conditions including infections, hormone imbalances and disease. Stress, exposure to toxins, shock, malnutrition, rapid weight loss also can cause hair loss. Hair loss can cause embarrassment and affect your daily life. It is sometimes difficult to determine the cause for your hair loss. If you noticed sudden hair loss when you wash and comb your hair, it may be a signal that you have a medical condition that needs to be ruled out. Share with your doctor where the hair loss is occurring. Thinning on top of the head may be a natural hereditary sign. In men, it usually recedes from the forehead and resembles an M, whereas, in women, it usually starts at the part and broadens from there. If you have relatives that have lost their hair, it is likely that you may also experience the same. If it is not hereditary, your hair loss could be from hormonal factors. Hormonal imbalances can cause temporary alopecia. Women often experience this when they are pregnant, from childbirth, cessation of birth control pills, or menopause. Hair loss may be temporary during these times. Certain medical conditions need to be ruled out including thyroid problems, scalp infections such as ringworm, or skin disorders such as lupus which can disrupt the normal growth of hair. Alopecia areata is another disease where the immune system attacks the hair follicle causing hair loss. A full physical including blood tests can be done to rule out these conditions. Medications and treatments for cancer, arthritis, depression, high blood pressure and heart problems can cause hair loss. Your doctor can evaluate your medications to see if that is the reason for your alopecia. Make sure you know what medications you take as well as the dose. Include any vitamins or supplements which you take regularly. Often an emotional or physical shock can be the start of hair thinning. This could include a death in the family, excessive weight loss, an accident or other drastic life change. Poor nutrition is also a major factor in the loss of hair. Discuss with your doctor any recent life change or major stresses that you are going through. Another reason for hair loss is constantly using hair-coloring products, straighteners or permanents which make the hair brittle and unhealthy. Also if the hair is pulled too tight into a ponytail, it can break off the hair. Most people experience hair loss with aging. They may get hairs where there never have been hairs before, and lose hair from the normal places that hair grows. I'm hoping that is my problem, but I am doing my homework. See your doctor and discuss any medications or supplements you are taking, illness or major life changes. Have a physical exam to rule out disease or malnutrition. Have a blood test to rule out thyroid problems. Study the different types of hair restoration. These include topical treatments, prescription drugs, over-the-counter products, infrared light therapy, and laser treatments. Consider if the hair restoration system will fit in with your lifestyle. Medications and creams need to be used daily. Or you can choose to wear a hairpiece or wig. Hair replacement surgery is also an option. Find out which treatments are FDS approved. You must also test solutions to see if you have allergies. Check with the BBB (Better Business Bureau) to see that a company is legit. If you decide on hair replacement surgery, find a reputable doctor who has had great results. Hair restoration can be quite expensive, and you may have to budget to pay for it. Be aware of possible side effects of different treatments. Some cause itching and irritation. If you have had a good or bad experience with a particular hair system, it would be great to share it here. You may help someone else (including me). As for myself, I had this happen to be once before and read online that the shampoo Mane and Tale (for horses) could help my hair regrow. I used it, and was quite happy to see that it did work for me. I am now using it again, but it will take a bit of time to see if it works again. Leg Hair Loss in Men? It's Not Uncommon. 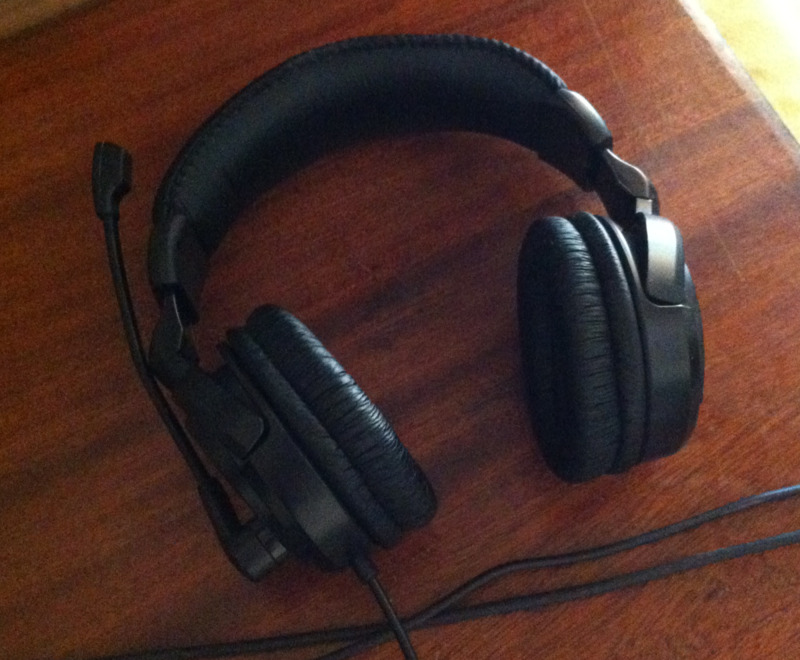 Does Wearing a Headset Cause Hair Loss? mariasial - thanks for stopping by and leaving a comment. Sorry to scare you, but I have experienced hair loss (albiet not as bad as the picture, thank goodness), but I have a friend who has. Hope you won't have to go thru it. Aloha! beautiful hub with some very informative solutions so0 simply love it and a thumbs up from me. Very interesting and useful hub! Thank you for your great research. Glad you found out what it was Chris. Thanks for commenting. Stress causes lots of problems. Hope you are doing well maxravi. Its quite a common problem.I too lost some hairs after changing my city.thanks for writing. I was losing hair due to low iron. It's growing back now, thank goodness! Mane & Tale here I come! I've just started to see my hair becoming thinner. I know it's not health related, maybe age...if I could take the hair from my chin and put it on my head I might be able to solve the problem! Thanks for sharing Pamela99. I am glad your hair came back in. My husband tried Rogaine, but he it caused irritation to his scalp so he had to quit. Hope you are feeling well. Aloha! Aloha diogenes. Did you watch the videos - looks like there is something to what you see on tv, but may not work for every one. It is interesting that they can take your hair from the back of your head and transplant it in the front and it will grow. Not sure about the truth of your question. I am having issues with my eyelashes too, so I used latisse upon a recommendation from a dermatologist. It cost $100 for a tiny bottle, but boy did it make my eyelashes come in thick - only problem is they grew every which way and I had to pluck the unruly ones out. I think there is something to these solutions, but again, it may not work for all. Thank you for your comments. I lost about a third of my hair a few years ago due to Lupus, which is not too uncommon. I did use Rogaine and bought a wig, but it grew back in over a few weeks. I have thick hair and there has never been another occurrence, thank goodness. You wrote a very useful and interesting hub about alopecia which I'm sure will be helpful to many people. Hard to live with in a women; in a man, it should not matter. Just vanity. I see they are advertisng a new cream on Telly that is suppose to rejenerate hair. I expect the "truth in advertising" will shut it down soon. I heard once the follecule dies the hair won't grow again in thst spot?